This unique solid American oak modern vintage desk features an original design by Jacob Pemble. An original desk is great because a desk is the central piece of furniture in any office. You want it to be cool because it will set the style of the entire room. It is central to your office style because everyone who enters the room will notice it before they notice anything else. The drawer faces are made of solid American oak and the desktop is American oak veneer. Powder coated steel is used to create the legs and only the finests cuts of oak are used. The desk measures 178 cms wide, 81 cms high and 73 cms deep. There is enough room to store any office stationary or bits and pieces that you need to have on hand. 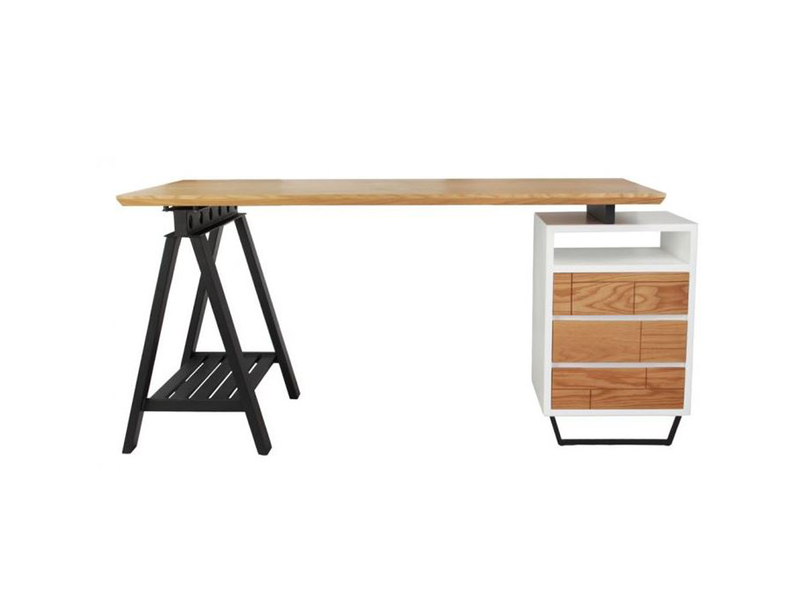 This is a great desk for almost any office because it is a high quality piece of furniture. The quality can be relied on because no shortcuts are taken during the creation. If you are looking for a desk that is a little different but still has lots of classic features this one should fulfil your needs. 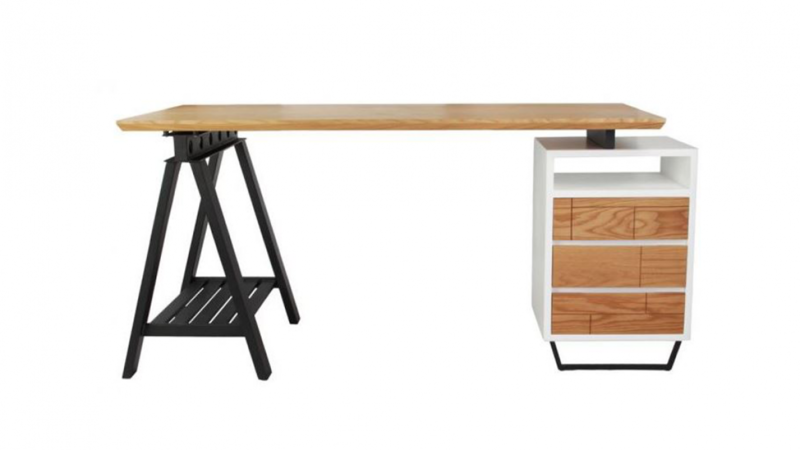 It features an interesting design but also supplies all of the things you need in a desk. You will have plenty of storage space and enough workspace to do what you need to do. If you like this unique desk you may also enjoy checking out the following.